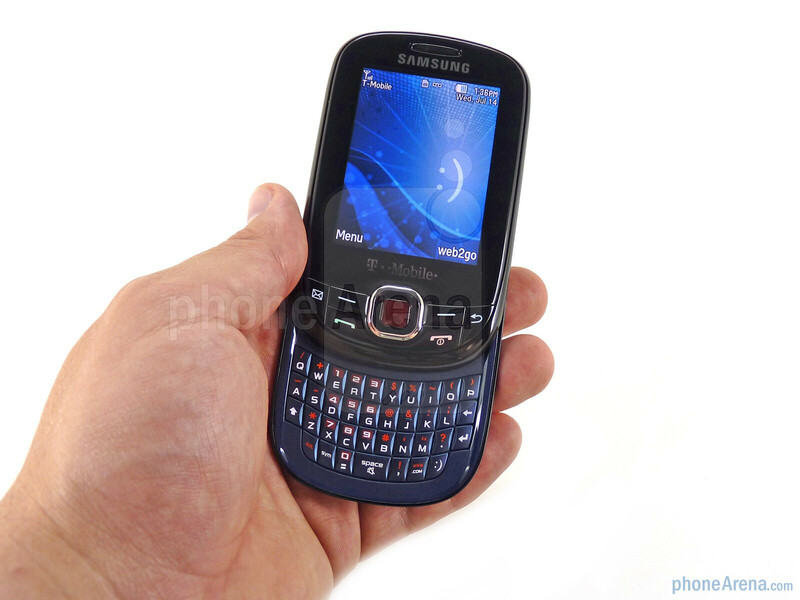 Let us present to you the phone with the worst name ever, the Samsung :). The :)- which we will refer to as Smiley from here on out- thankfully isn’t as bad as its name. This low-end portrait slider features a decidedly low-end set of specs, but what it does it does well. 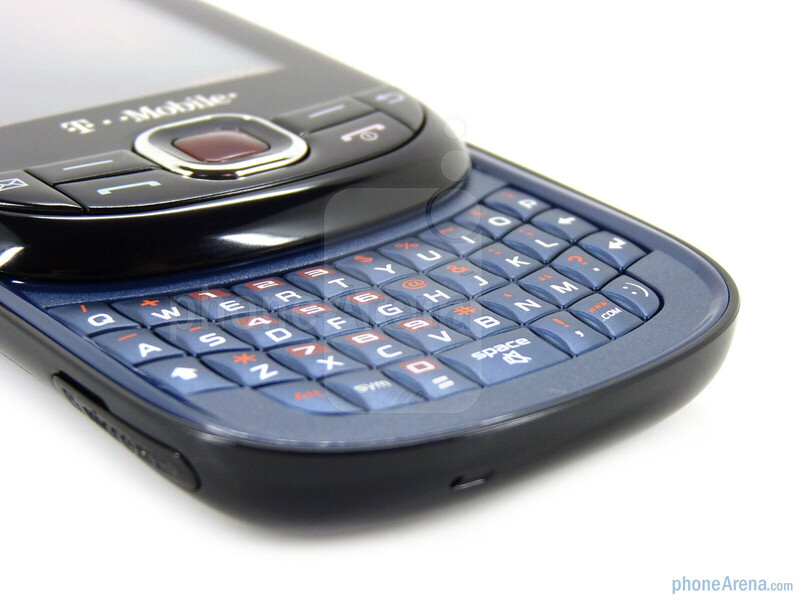 It offers a full QWERTY keyboard, 1.3 megapixel camera and microSD expansion. 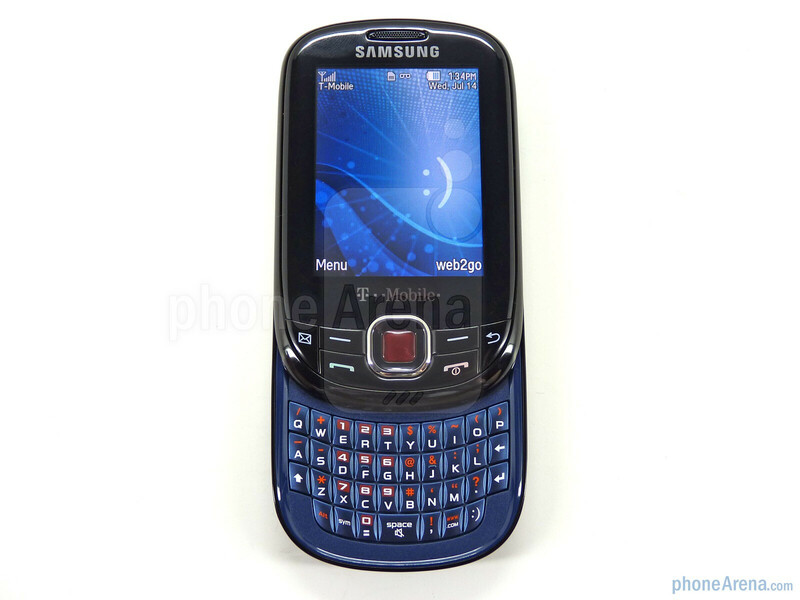 The Samsung Smiley is a radical design departure from the T349 it replaces, which was a bar phone with a SureType keyboard. This time around the Smiley is a well-designed portrait slider with a full keyboard, similar to the Strive and Reclaim. It is a good size and fits comfortably in the hand, and despite not having a soft-touch coating the back has some texture to it thanks to an embossed pattern. You can compare the Samsung Smiley :) with many other phones using our Size Visualization Tool. The 2.6” QVGA display has 262K colors that give it a crisp appearance. Below is a six-key navigation cluster with a 5-way d-pad in the middle. There is dedicated messaging key that the user can customize for anything in the messaging submenu, be it your inbox, the Social Buzz app, IM or others. 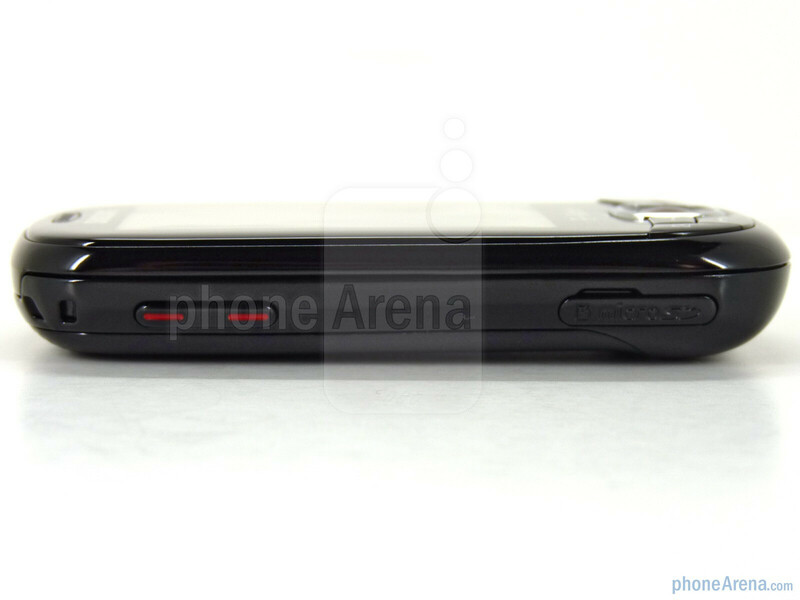 The left side of the phone has the volume rocker near the top and microSD card slot. 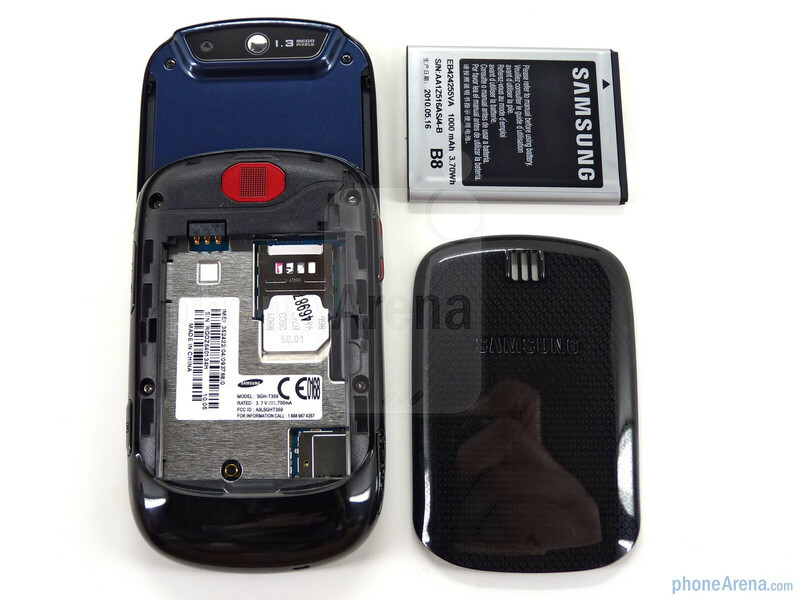 On the right is the microUSB charging/data port and a dedicated camera key. 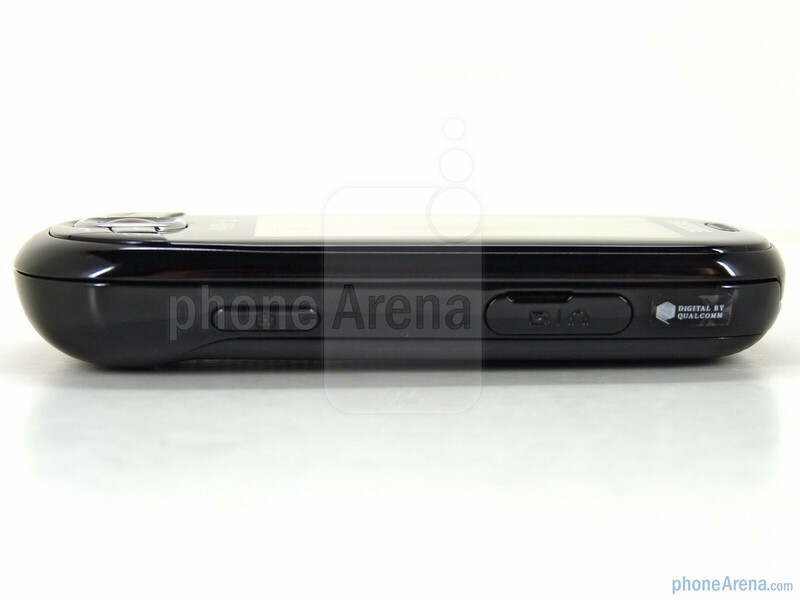 The camera resides on the back of the slide and is only usable when the phone is opened. 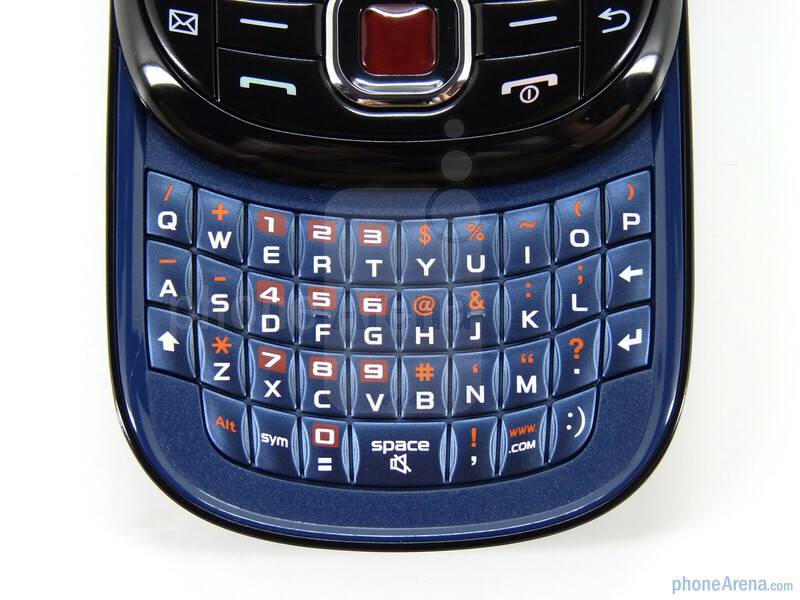 Also available when slid open is the QWERTY keyboard. Samsung does portrait sliders well and the Smiley is no exception. The keyboard has good feel and despite having small keys we didn’t have any problems typing accurately. Samsung has used a black and blue color scheme, mixed up with some red accents that are nice and offer a bit of class to the phone. I would refuse to get this phone just because of its name. ehh I wouldn't suggest it even if it had a sweet name like optimus prime. you can't do much on it unless you have internet on your plan because it's not wifi capable, so if you dont have internet on your plan, this phone can only be used for talk and text which eventually gets REALLY boring, I've had it for a year, and i already hate it, but im going to get the lg optimus t. looks like a really cool phone and its wifi capable so you can download apps and music! and the HUGE red button bothers the CRAP out of me. It appears that even AT&T's version of this, the Samsung Strive, is far better. If I had to choose between the two I'd definitely go for the Strive, even with all its shortcomings. The Smiley is perfect, though, for a child or tweener (IMHO). Peace! a tween might get bored with the phone like this. 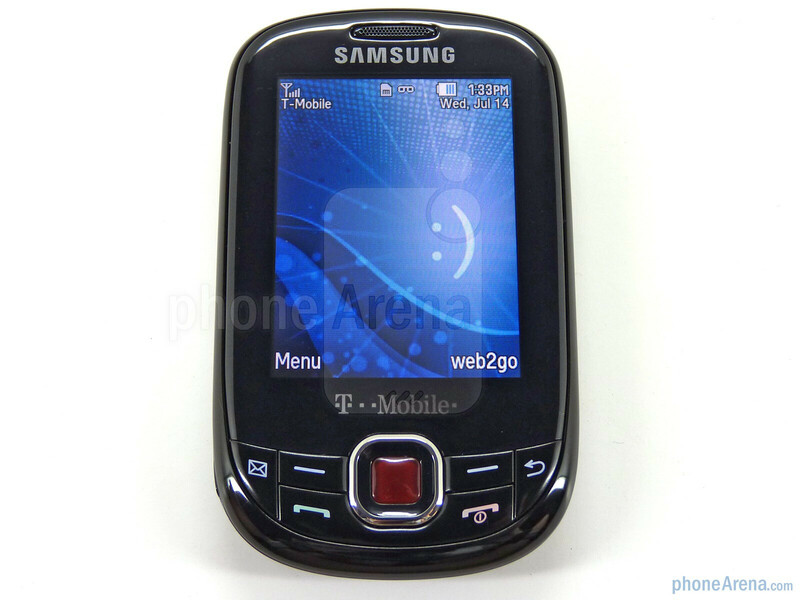 (i am 12 and i have this phone) I'm getting a smart phone so I can download games and music. The smiley is not wifi capable. 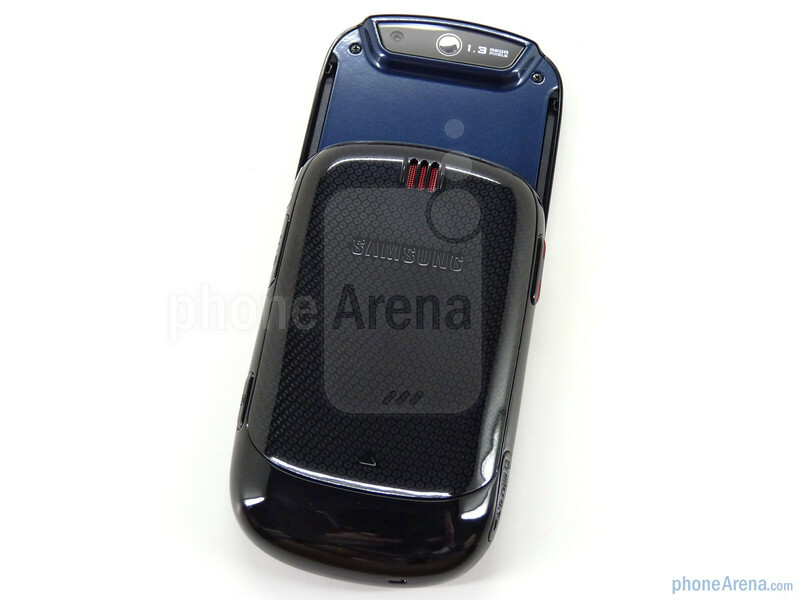 there-fore if you don;t have internet on your plan, nothing good comes out of this phone. I just got this phone yesterday, and it's great for text messaging. The only thing I would suggest is an Internet plan. The right softkey (when the phone is closed) is a designated web2go button that cannot be reassigned, so if you don't have the internet, that button renders itself pretty useless. Good picture quality (a little grainy when blown up on Facebook and such). 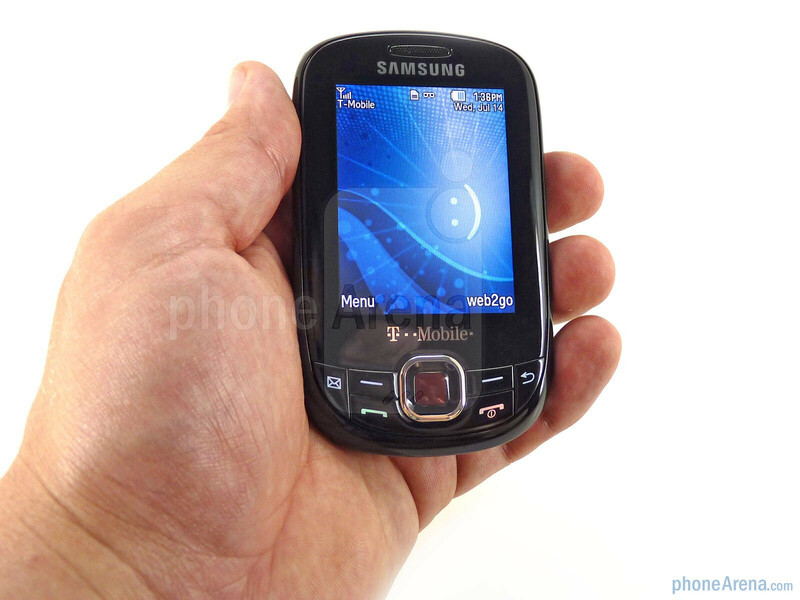 If you just need a phone for basic talk, text, and picture messaging, this is the phone for you. Don't expect a smart phone, because it's not by any means. It's basically your ordinary bar or flip phone in the form of a slider with some style! i bought this phone a month before. I found so many problems. I an using Bsnl and reliance sims .reliance is offering 3g and Bsnl is only 2g. But i can 't set reliance as default network. Also i can 't attend the call so many times as answer key get hanged. At the time of starting phone it doesn't respond for a while. Also i can't download files using opera and uc browsers. Lot of faults. Pls nobody purchase this phone. You people are dorks. It's a cheap phone that makes phone calls and texts. Plus it can capture crappy video and pictures. Wah wah wah, my network. Shut up. Get a freaking blackberry or something. This is a PHONE. this phone is boring and over-priced. i can get a phone that does more for cheaper.